Reuters published an exclusive report claiming that Venezuela is purchasing foreign oil for its regional friends, but contrary to what the outlet implies is a desperate bid by a failing state to hold on to its last partners left, it’s really doing so in order to stave off the hemisphere’s re-subjugation to full-spectrum American dominance. Reuters just released a report that it provocatively headlined “Exclusive: As Venezuelans suffer, Maduro buys foreign oil to subsidize Cuba”, which attempts to frame Caracas’ purchase of foreign oil for its regional friends like Cuba as a harebrained scheme by an ideologically extreme socialist government on the brink of all-out state failure. There’s no doubt that Venezuela has been pushed to the edge of collapse, but the US’ multipronged Hybrid War is just as responsible for this as is the government’s shortcomings in managing this situation afterwards. All blame aside, however, the narrative that Venezuela is subsidizing its institutional partners at the expense of its own citizens is only partially true since there’s of course a literal “zero-sum” cost involved in these sorts of transactions, but that storyline misses the larger strategic point of why the Bolivarian Republic is even doing this in the first place. It’s not because, like Reuters strongly implies, Venezuela is desperately trying to hold on to its last partners left and has no other choice than to foot the bill for their energy expenses if it hopes to avoid the implementation of tougher regional sanctions. It might appear that way on the surface but the events of the past decade and a half since the US led a so-called “Coalition of the Willing” in waging the War on Iraq prove that groups of states can bypass international organizations in carrying out punitive measures against their targets so long as they’re willing to accept the political and other risks involved. Some Latin American countries have already ramped up the pressure against Venezuela at the US’ presumed behest, but the smaller and more multipolar-aligned ones such as Cuba and Nicaragua that are beneficiaries of Caracas’ “energy diplomacy” have no logical interests in bandwagoning with Washington. Their governments are ideologically aligned with Venezuela’s on many levels and wouldn’t backstab their Bolivarian brothers like that, though it must be cautioned that smaller states such as the Caribbean island ones might not have the same loyalty to Caracas as they do. In any case, the geostrategic states that matter aren’t at risk of capriciously changing their mind, at least under “normal” circumstances. What’s meant by this is that the worsening Hybrid War conditions that the US is putting them under in their own way are presenting challenges to their governments, and the resultant instability could eventually lead to regime change and the replacement of the present multipolar-friendly authorities with unipolar ones. It’s precisely because of this strategic danger why Venezuela isn’t just giving its own subsidized oil to its partners, but is even purchasing foreign reserves when it can’t provide the same amount to them that it previously had. Whether for better or for worse, Venezuela’s Latin American allies have grown dependent on cheap Caracas-provided energy, and the price increases (however marginal they may be) that they’d have to deal with if they were forced to purchase resources at the normal market rates could be enough to capsize their already-fragile economies, especially under the US-imposed Hybrid War conditions that they’re facing. Paradoxically, while Venezuela may have originally given its partners subsidized energy in order to allow them to reinvest the extra money into social programs for sustaining the loyalty of their populations and therefore proactively thwarting Hybrid War threats, it nevertheless turns out that any decrease in these said subsidizes as a result of US pressure could inadvertently function as their own Hybrid War triggers against them, representing perhaps one of the cruelest ironies from the “Pink Tide” era that’s rapidly ebbing due to Washington’s “Operation Condor 2.0” hemisphere-wide unipolar pushback. To recap, Venezuela is almost compelled to continue providing subsidized energy to its partners – even if it has to purchase these same resources from abroad due to domestic production difficulties – in order to maintain the regional strategic equilibrium as best as it can by complicating the US’ manifold Hybrid War plots. In and of themselves, cheap petroleum shipments won’t put an end to any Hybrid War campaigns, but they will at the very least make them harder to pull off. Should these subsidies decrease in scale, especially suddenly, then the economic repercussions for the recipient country would be severe and the consequent systemic shock could provoke a fast-moving regime change movement that succeeds in toppling the targeted government. 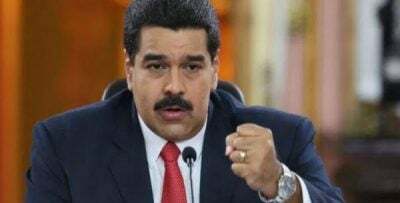 Venezuela shows no signs of stopping its shipments, but the timing of this Reuters release suggests that the news of Caracas purchasing foreign resources for its friends in the midst of its own nationwide crisis is designed to influencing the upcoming 20 May elections. Venezuela is therefore caught in the horns of a classic dilemma in that it’s “damned if it does, damned if it doesn’t” continue with its regional energy program. Doing so despite the Hybrid War crisis might provoke rage among some of the electorate who believe that their government shouldn’t prioritize other countries’ economies over their own, especially if it’s going as far as buying foreign energy for them because it doesn’t even have enough at home to sell at a subsidized rate. On the other hand, each of the beneficiary states fulfills a certain strategic function for Venezuela beyond the superficial one that international media likes to focus on in supposedly only being worthwhile in preventing regional organizations from reaching a census decision for further pressuring it. It’s for this reason more so than any other such as “buying” friends or self-sacrificing ideological solidarity why Venezuela continues to provide its partners with subsidized energy resources, even if it’s been forced to buy some of them from abroad.